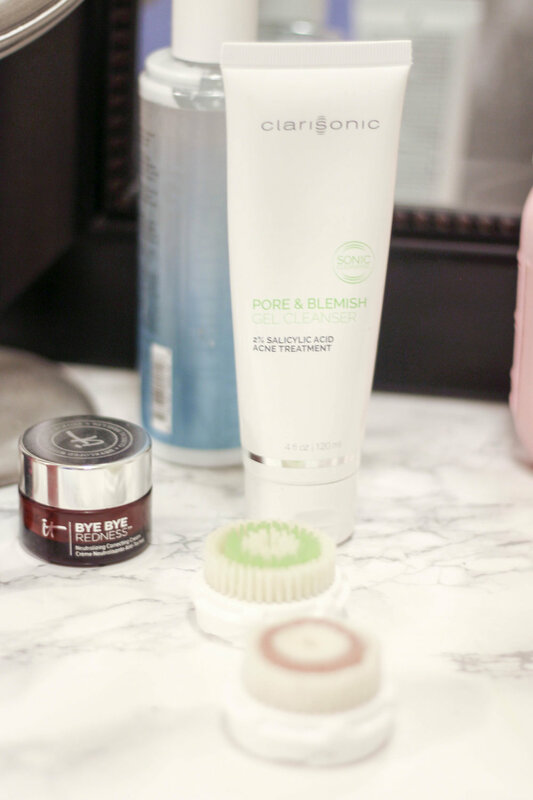 Fall is here, ladies, and it's time to get your skin in check! Cold weather can be so harsh on your skin, so it's important to keep up a good routine. I have naturally dry skin to begin with, so I'm always extra careful during the cooler months. Taking care of your skin should be an important part of your daily routine. Practicing proper skincare now could help prevent unwanted skin issues later on in life. In collaboration with Clarisonic and the InfluenceHer Collective at Her Campus, I was sent a complimentary Clarisonic Mia 1 Brush, along with three different brush heads and a gel cleanser to test out for y'all. I've been using my Mia 1 brush for the last month and my skin is literally glowing. 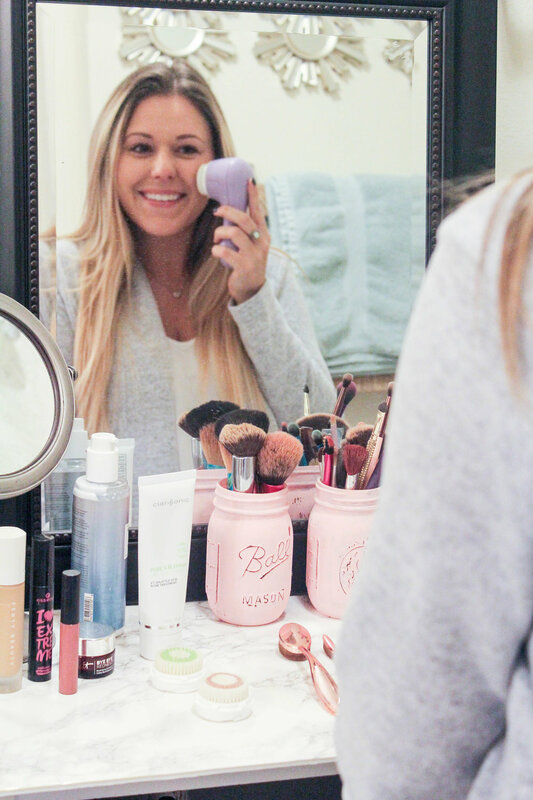 Clarisonic's products have always been a favorite of mine and the Mia 1 did not disappoint! I've incorporated my Mia 1 cleansing into my fall skincare routine and I wanted to share a step-by-step guide on how to use the brush, along with an in-depth look at how the Clarisonic cleansing method worka. The bristles of the Clarisonic brush oscillate, which allows water and the cleanser to flush into your pores. The process removes oil and debris that ages your skin and causes breakouts. Clarisonic brushes do not exfoliate- making it gentle enough to use twice daily and is great for ladies with sensitive skin. The Mia 1 is the perfect introduction to sonic cleansing. It features one speed and cleans the skin six times better than hands alone. Like I mentioned earlier, I've been using the Pore & Blemish Gel Cleanser with my Mia 1 brush. It's designed for sensitive, acne-prone skin and targets excess oil, pimples, blackheads and whiteheads. I was sent three brush heads to try: the Acne Brush Head, the Deep Pore Brush Head and the Radiance Brush Head. The Acne Brush Head is designed for sensitive, acne-prone, oily skin. The Deep Pore Brush Head uses dual-action bristles to help flush and dislodge oil and debris that clog up your pores. I've actually used this brush head before when I tried out the Clarisonic Mia 2 last year. It's definitely the best one for my skin type and my favorite of the three! The Radiance Brush Head comes with the Mia 1 and has extra fine bristles to deliver a luxurious cleansing experience. 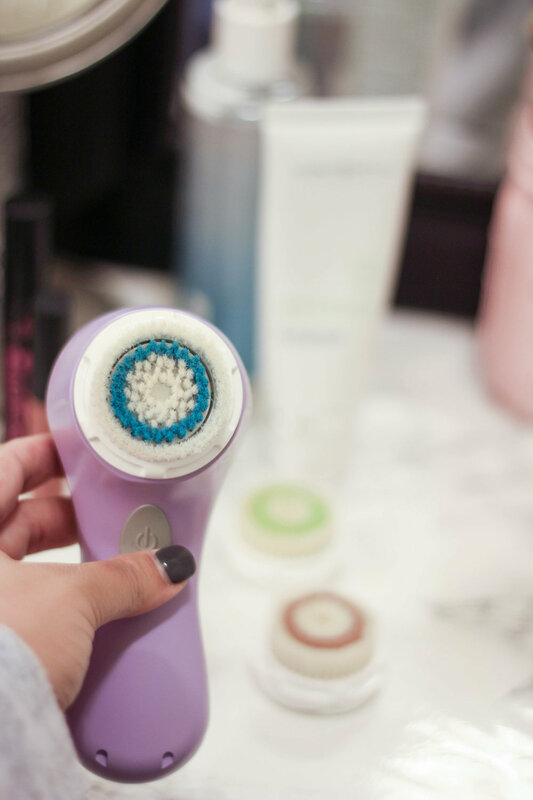 The Clarisonic Mia 1 is definitely a great way to keep your skin looking fresh and clean. 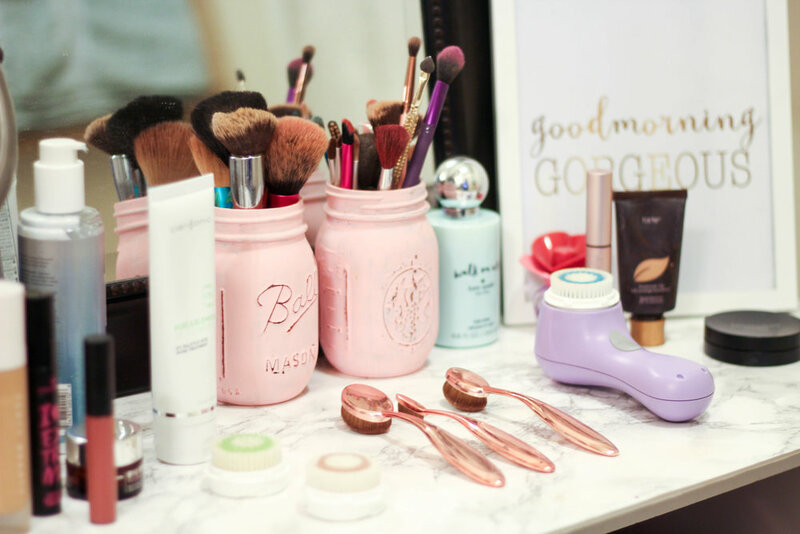 All of my readers can use the code HERCAMPUS to get 15% off of your Clarisonic device! Fun fact: Clarisonic also offers monthly payment plans upon credit approval. So for less than 63 cents a day, you can have clear-looking skin for life!